Thanks to the responsiveness of upstream authors I have prepared a package for the latest (not yet announced :) 1.1.0 RC4 of cmakeed. Test rpm can be found here. As soon as the final release appears I'll put the spec in bugzilla for review. Hopefully before this I can get as much bug reports as possible so we can really get the best CMake editor. Feel free to bug me or the upstream authors for any problem/suggestion you may have. P.S. Don't be confused by the rpm name. 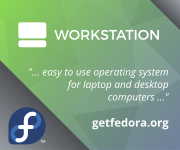 You really need Fedora 10 to be able to use it or for those who hasn't upgraded yet (e.g. me) you should upgrade your Eclipse packages and dependencies to Fedora 10.